It's time to make fleece blankets again! We always choose a child or two from the giving tree at Firecracker's school to provide Christmas gifts for. I like to include a fleece blanket for each child among the gifts. My single layer braided fleece blanket tutorial from last year has been so popular that I thought I'd try a new variation. The biggest question I get asked about my first tutorial is if it works with two layers of fleece. After a bit of experimenting, I'm happy to say that it does! 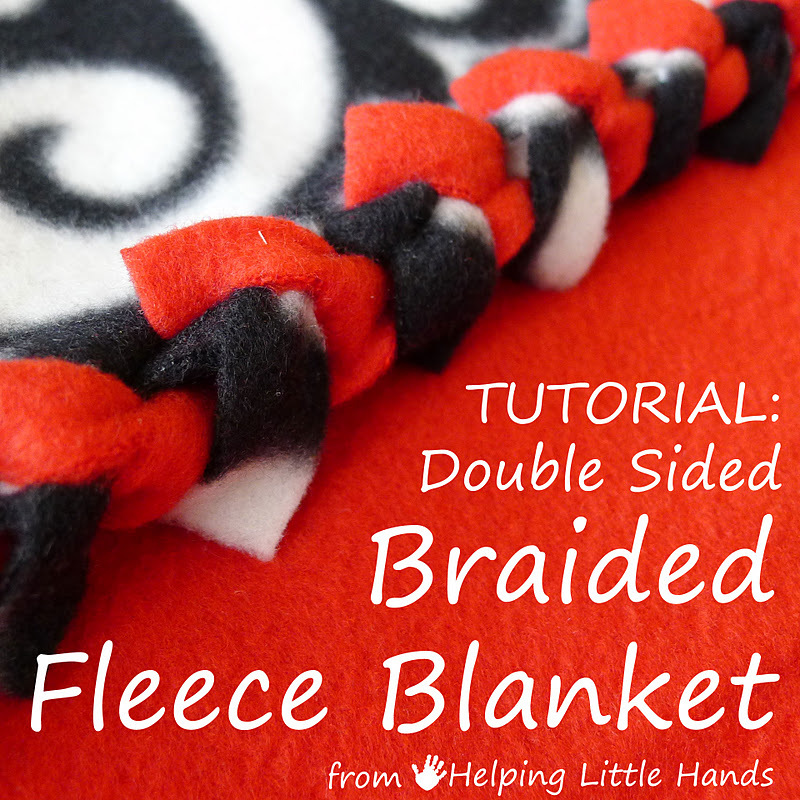 And so I present to you...The Double Layered "Braided" Fleece Blanket. The edge looks pretty classy. There are no uncomfortable knots to lay on. Edited to Add: I neglected to mention you'll need to cut a 2'' square out of each corner. (This would also happen naturally as you cut your fringe. 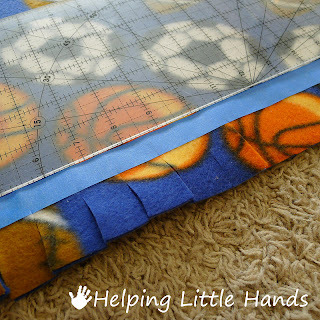 This picture is from doing this for a single layered blanket, but the process is the same for a double layered one. My favorite way to mark the fringe is using painter's masking tape (available at any hardware store). 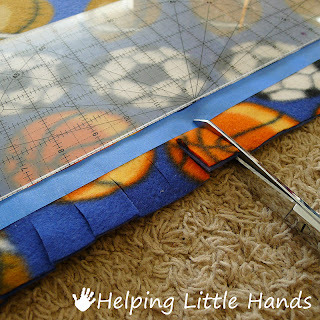 Whether I'm cutting the fringe with scissors or a rotary cutter, the firmness of the tape helps the scissors stop and keeps the fringe even. The painter's tape is also not very sticky and comes off easily. I tried cutting the fringe 2 inches deep and 1 1/2 inches deep. They both work well, but I prefer the 1 1/2 inches. 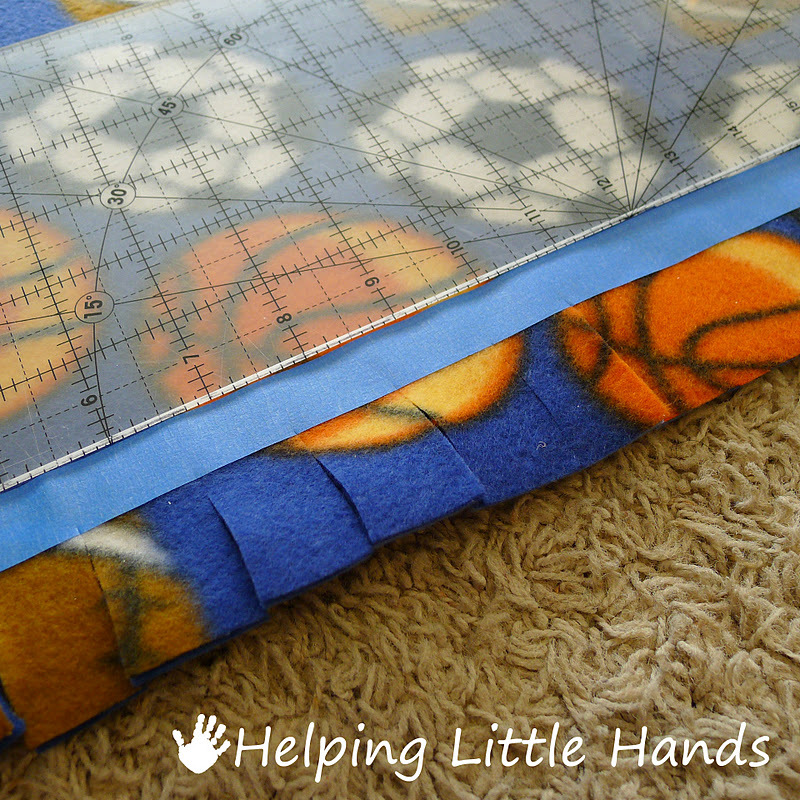 When using the rotary cutter, I use the lines on the mat. This time I didn't want to pull the mat and rotary cutter out, so I just laid my quilting ruler above the tape and used that for a guide to help me cut the fringe 1 inch wide. Once the fringe is cut, I folded each fringe a little closer to the end than half-way, so I could cut a slit. I did this through both layer at once. It should be about this size. Now you're ready for the fun part. You can start anywhere, but I like to start in the middle of one of the sides. Choose a fringe to start with. I used a bent paperclip. A crochet hook will work great too...I just don't have one that's big enough. Stick the paperclip through the slit of your first fringe. So that it "hooks" the second fringe and you can pull it through the first fringe. Once you've pulled it all the way through, your paperclip (or crochet hook) should already be through the slit of the second fringe, and you move on to the next fringe on the top. 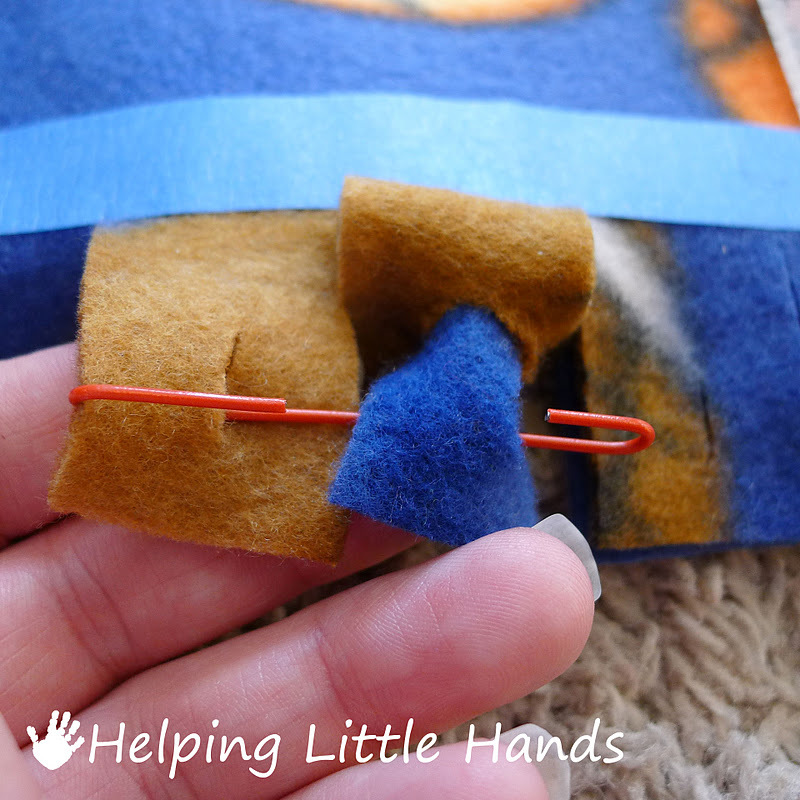 Put the your paperclip through the next slit to hook the next fringe. I always moved from right to left on my blanket, but if you're left handed, it might be easier to work left to right. The most important thing is to ALWAYS alternate between using a fringe on the top and a fringe from the bottom. Pretty soon it will start looking like this. When you get to the corners, you just keep doing the same thing. It will naturally curve around the corner. Before you know it, you'll be all the way around your blanket and be left with last fringe that you've pulled through the fringe before it. Here you'll need to cut the fringe in half, though the slit, so you've got two skinny fringes. And use them to tie a knot around the first fringe. Make sure to do at least a double knot...triple if the fringe is long enough. That will be the only knot on your entire blanket. And that's it! The look of your braid will vary depending on the fabrics you've chosen...and will even vary on the same blanket, if you've chosen a print. Whether you want a single layer or double layer fleece blanket will depend on how warm you want the blanket and the look you're going for. I decided to make double layer blankets this year because the contrast in the patterns and colors can be fun, and they'll be going to children who sometimes have a hard time staying warm at night. 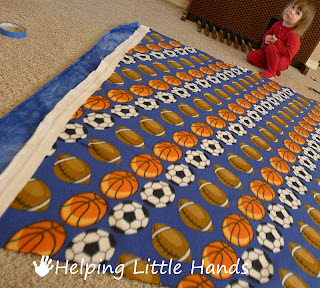 Double layer blankets are also great for outdoor uses, like stadium blankets and such. For my own kids, I actually prefer single layer fleece blankets because the double layer blankets can actually be too warm. To make a single layer fleece blanket, you use the same method, except that there's only one layer of fringe involved. 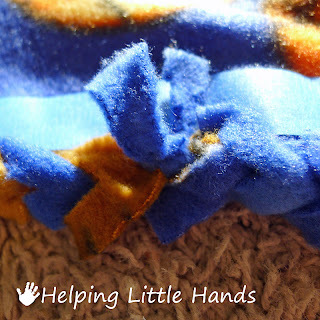 I usually make the fringe for single layer blankets about 2 inches deep and 1 inch wide. You can also see my tutorial for them here. 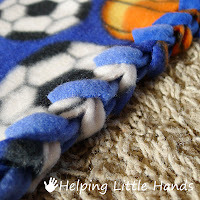 I have to say that for my kids' own use, I prefer these single layer blankets because my kids get too hot with the double layer blankets. 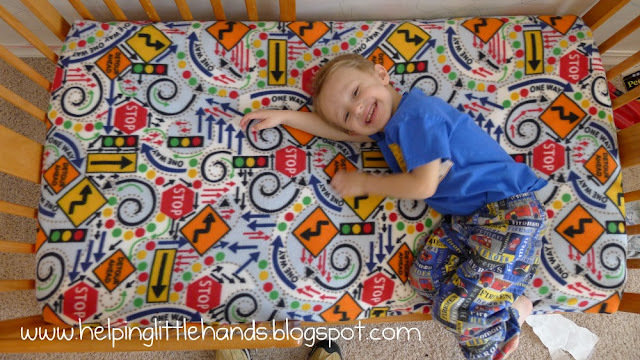 Or if you're looking for something a little different to do with fleece, you might also like the fleece fitted sheet, I made for my son last year. I'm in the process of making another one for my daughter this year, so check back soon for a full tutorial for making one. Polly, these are great. The kids will love them. What a smart way to finish the edges, I love it! What a great improvement on the old knotted method. I'll give it a try. Thanks! That's a great idea, thanks! do you cut the corners out, the same way you do on the tie blankets? @ Anonymous: Yes, you do need to cut the corners out. If you have any other questions, you might find it easier to email me, so that I can reply to you directly. 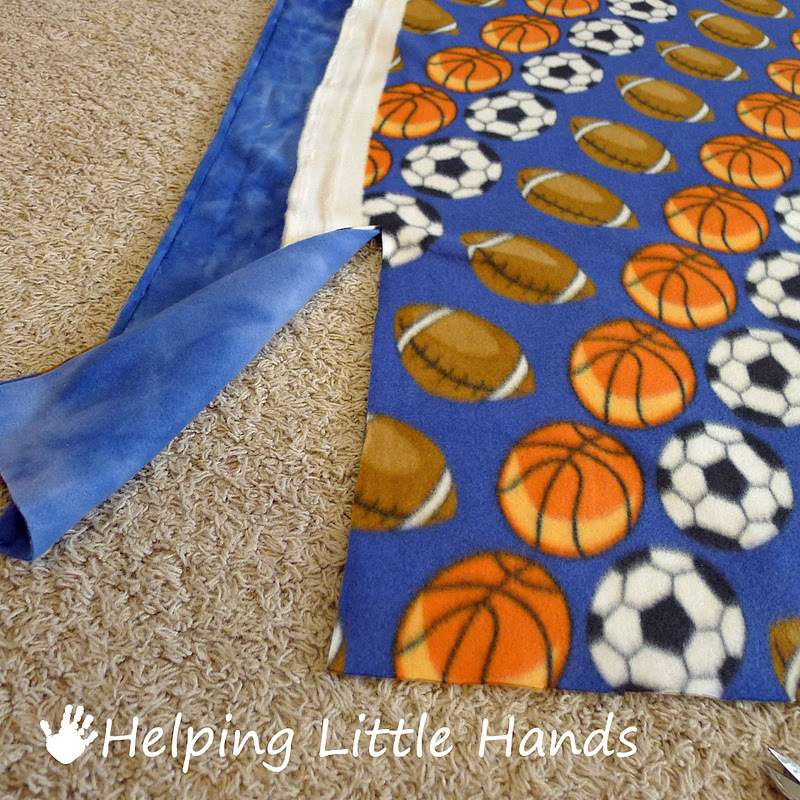 How do you make a tie knot blanket with ultra cuddle fabric? Thank you! I used your tutorial last night. I posted pictures of my creation here: http://craftymomsshare.blogspot.com/2011/12/christmas-cards-and-christmas-gifts.html. Have you found that the braids come apart at all after washing or just exessive use? I have been determined to use up fabrics that have been sitting - lots of flannels and fleece. Typed in a search for fleece tutorials and came across your braided blanket an hour ago and I'm almost finished with a small blanket. Very clever edge. All the little ones I know will be getting a blanket until I run out of fleece. Thank you for sharing. I don't know what I did wrong, but the finished blanket almost mimics a fitted sheet. Is there something that I am doing wrong? Thank you so much for your tutorial! 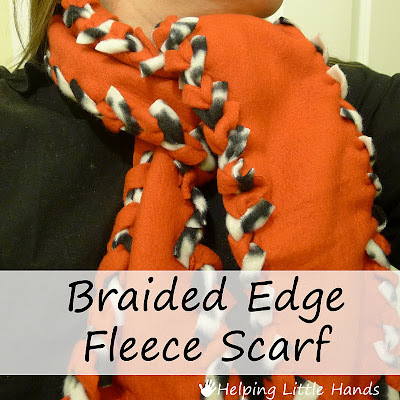 The braided edge technique you came up with is so classy looking. I also like that there are no uncomfortable knots to lay on, and you get more blanket out of the material. Thanks for sharing this fabulous idea! I'm excited to try this! 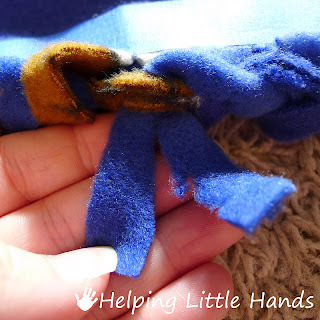 I'm making EIGHT fleece no-sew blankets for Christmas presents (I'm starting early!!!) I'd love to give this type a try, over time have you found that the braided edges stay together well through the wash??? 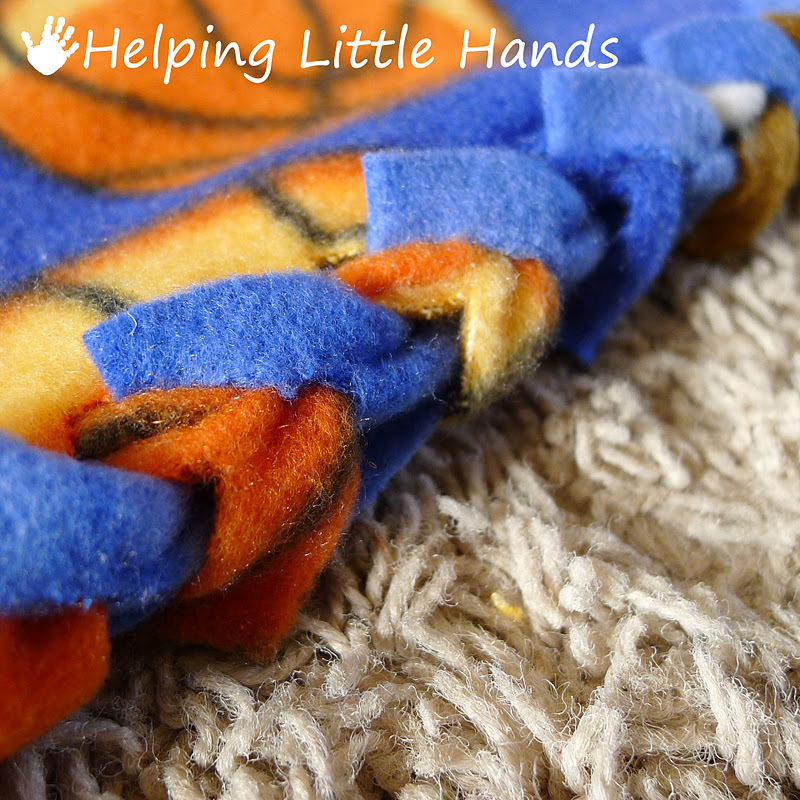 We donated all the double layer blankets we made...but we have several single layer blankets and the edges are as good as new. The process is the same for the double layer. There's really no way for them to come apart unless the slits you cut to pull the next one through rip...which they won't unless you cut them too close to the edge. 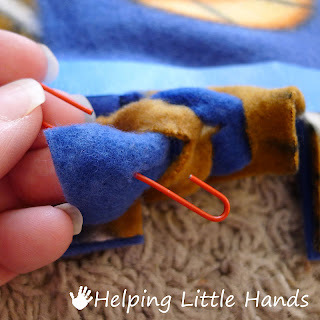 I love this idea and am wondering if you have ever tried stuffing the blanket to make a pet bed. Seems like this should work and the pets wouldn't be as tempted to play with the edges since it's not fringe. Would be a good scout project to do for animal shelters. Thank you! Thanks, that's a great idea. I never would have thought of that since we don't have pets, but you are so right! Thanks for sharing. I love the look of these blankets! I have a question. 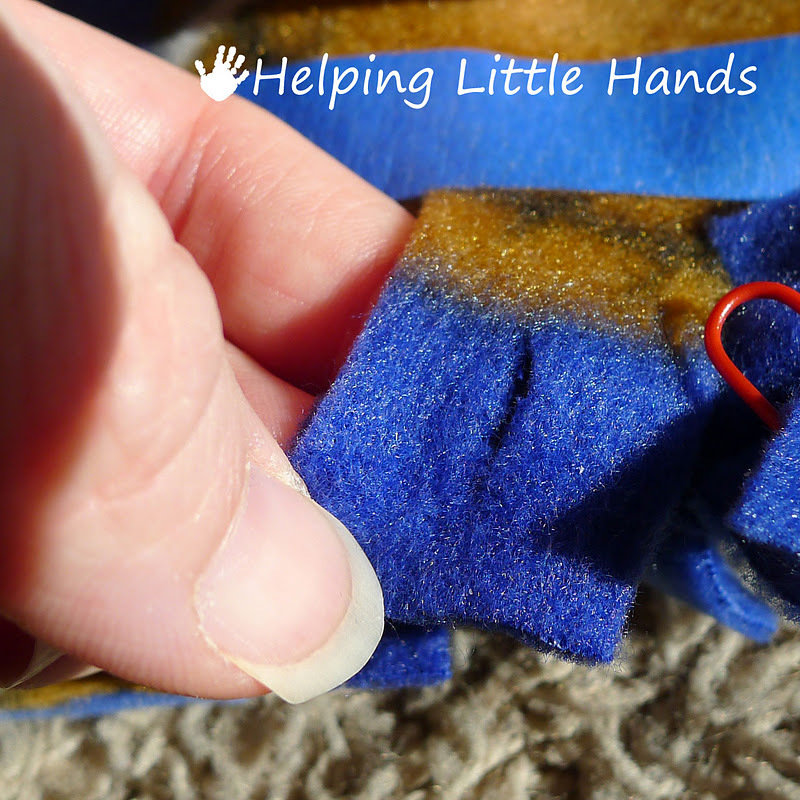 When I make the knot version of the fleece blankets I sew a line around the edge to make it a little more permanent. The knots are on the outside of the line. Would it be a good idea to do that with this version? It would work great to sew a line around the inside of the fringe, but it will be permanent without it as well. love this idea thanks for sharing it with us. 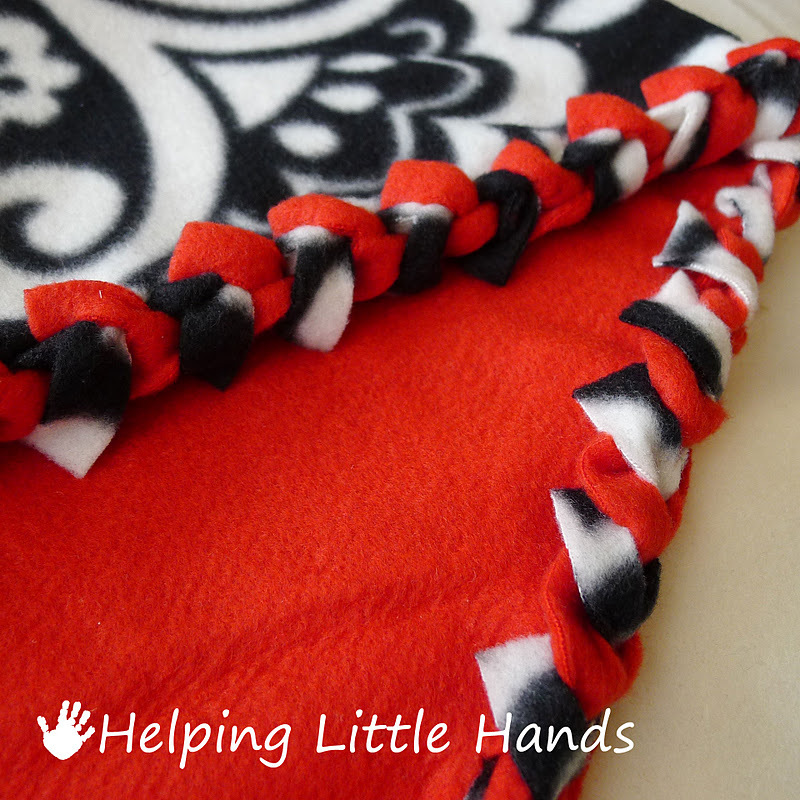 I am going to make a bunch of double sided blankets this year for my family for Christmas. It is a great gift that keeps on giving.. 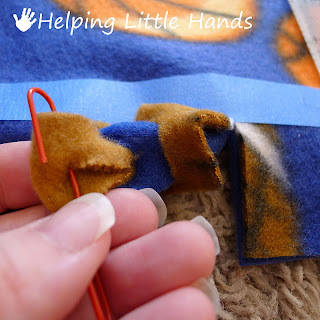 I am so excited for this new method .... the kids in my family are always asking me to make fleece no sew ... they're really going to love these .... Thank you so much for the very well illustrated instructions. I found this on pinterest and made one for my son yesterday! He chose pirate-themed fleece, which I paired with a coordinating solid. It looks AWESOME! It took me 2 hours and the materials were $13. My 3 year old is thrilled and everyone in my family is getting one of these for Christmas. Thank you for sharing! I absolutely love this. I have a new grand baby coming in February. Guess what she's getting from Grandma. Would a crochet hook work as well as the paper clip? I'm thinking the longer handle of the crochet hook would make it easier to manipulate. Yes, a crochet hook will work as well...I just didn't have one. Great instructions! My first time and it came out beautifully! Thank you!! How much do you cut out on the corners? I have about a dozen of these I need to make and it would be great not to have to tie all those knots. Thank you for sharing. You will want to cut a square as deep as your fringe. i just found your instructions for the two layered fleece blanket. thanks for explaining and the pictures...sounds and looks easy enough for me. i have two blankets waiting on me to get started. thanks agin and Happy Holidays! 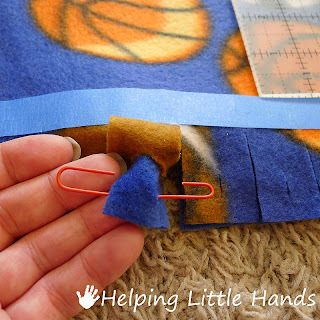 Love this way of doing the blanket , I'm anxious to try it ,but I did want to ask if you can tell me the scissors you are using in the pictures ? They look like they would work a lot better than my normal scissors. I USED THIS AT A SENIOR CENTER TO MAKE LAP COVERS FOR WAITING IN THE COLD FOR TRANSPORTATION BUS.THEY LOVE THEM ALSO A GOOD IDEA FOR WHEELCHAIR BOUND PATIENTS. What kind of scissors are you using in the above pictures ? Made one tonight! Thanks so much for posting this, it turned out beautiful! 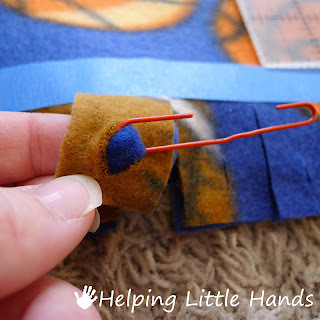 Could you use a silk fabric instead of another fleece? No, I don't believe silk will work. 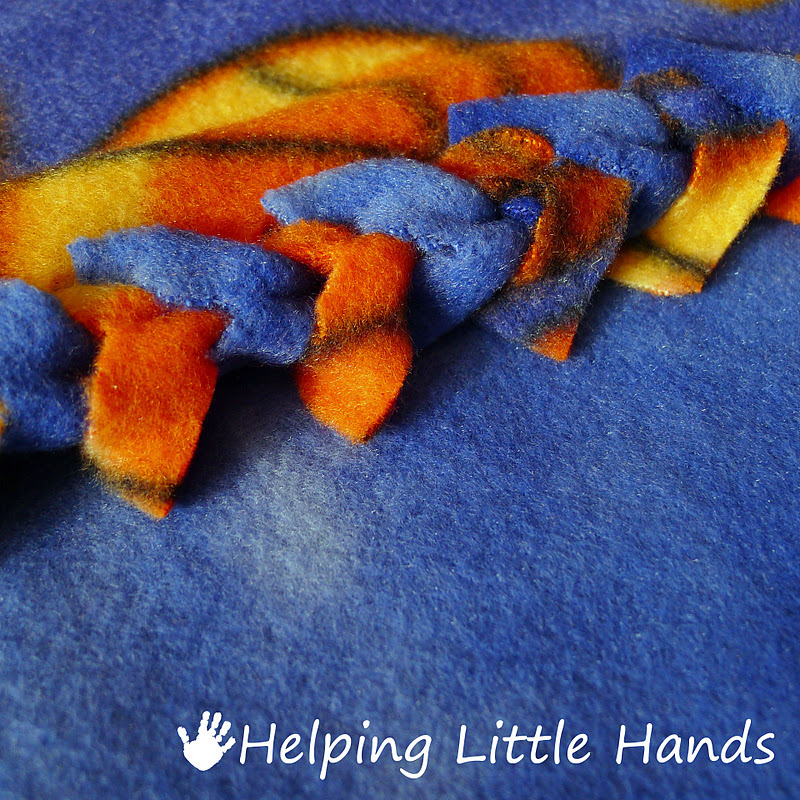 Silk fabric will unravel whereas you can have raw edges exposed with the fleece. I made this type of blanket for my kids toys year as Christmas presents, my husband now wants one for our king size bed. Do you know of anywhere i can purchase fleece in a width more than 60"? Michelle, I've never heard of fleece coming in anything wider than 60 inches. However, you could sew to pieces together and then do the fringe around the edges. 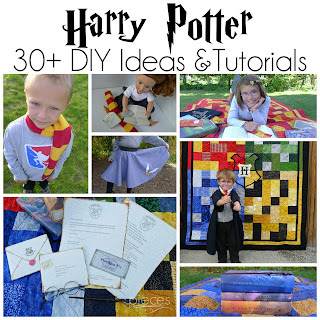 I would love to try to make one of these for my little brother and my oldest niece for Christmas. I understood everything till I started reading the comments and you mentioned that you had to cut the corners. I'm new to doin this kind of stuff and am a little confused because you didn't show that in the tutorial so I wouldn't know how to go about doing it correctly. Hi Melissa...yeah, I really need to go back and ad a picture of that. 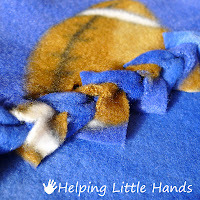 There's a picture of the cut out corner in my tutorial for single layered blankets that you can find here http://helpinglittlehands.blogspot.com/2010/12/braided-fleece-blankets-tutorial.html That part works the same for the single and double layered blankets. Let me know if you have any other questions. Mine looks like a fitted sheet... Should I have cut the strips longer? Mine is usually a little tight at first, but if you just pull on it, then it stretches a bit and is fine. If yours is more curled up than that...I'm not really sure what would be wrong, but it might be that you need to cut the strips a little longer. Yay! This solved a problem that I'd been having with a blanket I got from my "Heart Sister" at church. She made me a tie edge blanket for Christmas, but she didn't really measure and cut evenly, so it has been coming untied. I decided to try your method here. It took some doing, but it worked and now my blanket doesn't come apart anymore! Thank you! 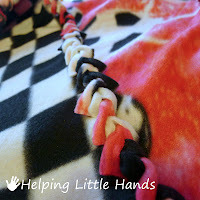 I will try this when the next time I make one of these kinds of blankets, probably for my new niece. 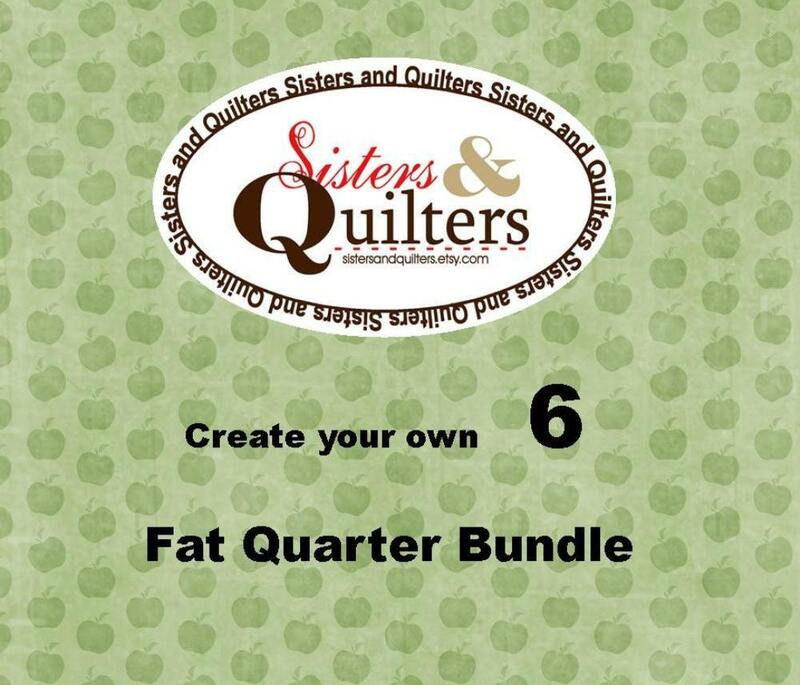 Personally, I've never tried to make a patchwork fleece blanket, so I'm not sure how it would work. I did have one reader a while ago who said they had been able to do it successfully. I think you'd definitely want to keep the fringe on the shorter side for doing patchwork. I've never seen this technique before. I used it then stuffed it to make a dog bed. I am so excited to try this! 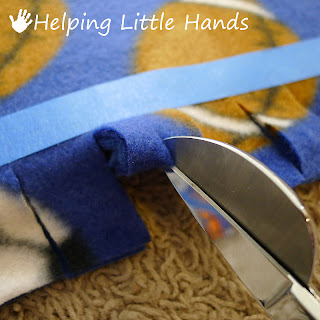 I recently purchased some fleece to make a blanket as a gift, but it was the last of the fabric they had in that pattern, so I wasn't able.to get as much as I wanted and was afraid the blanket would be too small since you lose so much fabric doing the tieway! Can't wait to try this out, thanks for the great post! I got the fabric to make 5 tied ones for my sons for this coming Christmas. Well I started them this week. I need to split the last tie and finish it like you said to. However as I was cutting the second one today, I accidentally cut through both layers on one tie. Should I just sew the end closed. That is what I am thinking I should do. Leaving one to be my last one I would only need to sew one. Thank you for something I know my sons will love. 26, 23, 20, 17, & 15. the older two have or had one tied. I had learned two ways to tie them. I like this better. Yes, sewing the last bit together should work just fine. Good luck! Thanks very much! Just used your directions to make a 3 yd long Batman blanket for a friend, and it turned out perfectly. Two done three to go. Just tricky finding time to work when the two living here will not see me doing it. I have had to start pack up out of sight move to another part of the house with both of these when I expected to have the house to myself for many hours every time I started. sigh two closer that I was when I purchased the material. 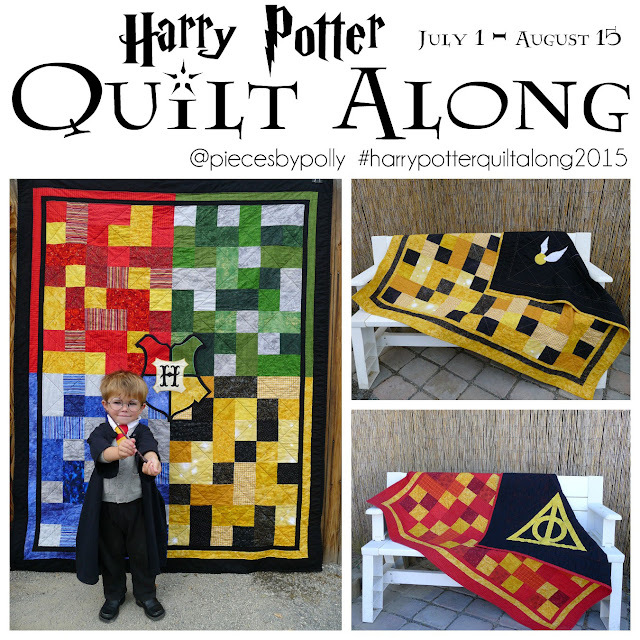 I do 2.5 yards of 60" wide, for the three chose yet my sons are all taller than my average height. Two I did buy the pre packaged for were only 60" x 72". que sera, sera. OMG, I made so may of these for my friends and I spent the whole November and December sitting on the floor and I made nine 6 foot long blankets for almost every one I could think of that would use it! I spent so much time working on them that I even missed a party that I had been waiting for for an entire year! I guess it was worth it though because everyone said that the blankets were like magic and they fell asleep for hours until their mom finally woke them up. I was exhausting, but hey, they were six feet long! I have had all five finished for a while now. They are for this Christmas, yet my oldest will be celebrating in September when he returns across the Atlantic Ocean for a short time. Since I went back to college last month I would have never had time to work on them if I had not started when I did. Now I need to finish the crocheted project I decided to tackle for him. Will this fall apart when washed and dried?? Nope. It holds together really well. 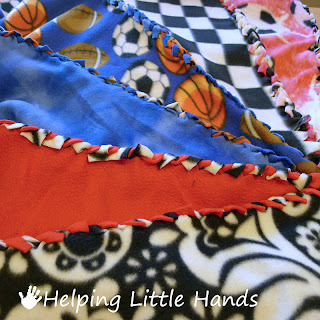 When I make these types of blankets, I pull the two sides' fringe together like "praying hands" (sorry, that is the best visual I can come up with) and then do each layer individually so you end up doing the edge twice. So, if you are doing a blue and yellow blanket, one side is yellow with the blue border and the other side is blue with the yellow border. I will have to try it this way as well! 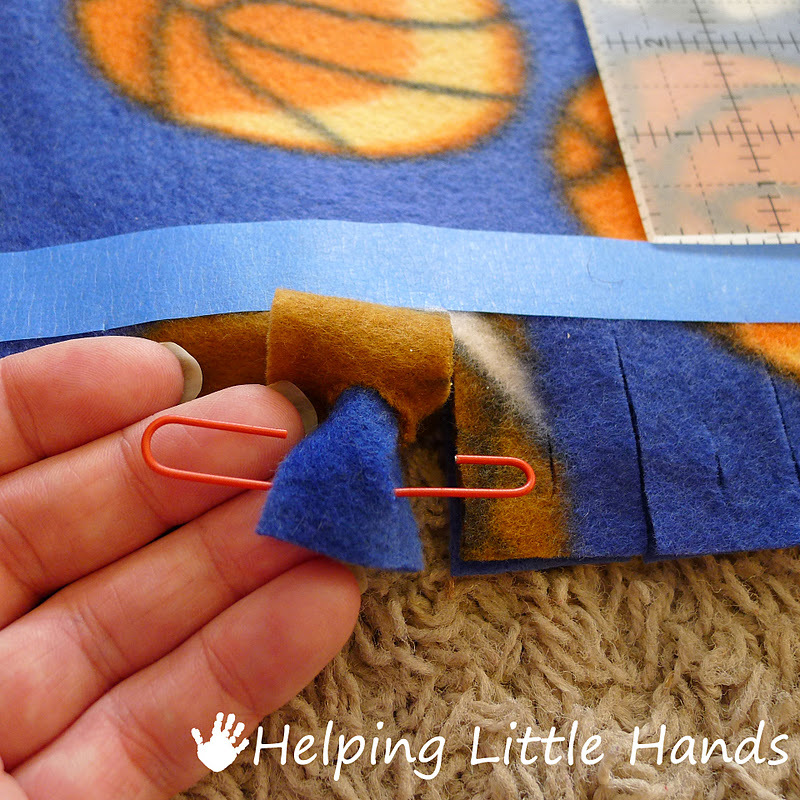 Do you think it would work using one layer of fleece and one layer or regular fabric? No, I don't believe that would work. 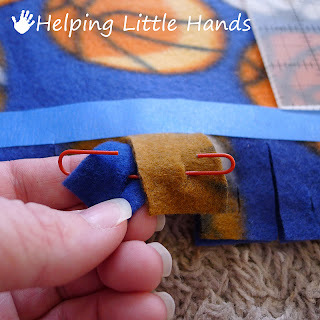 This will only work with fabric that doesn't fray and has the same amount of slight stretch to it...as far as I know, the only fabric that has those properties is fleece. But if you want a lighter blanket, this definitely works with just a single layer of fleece. Hi Polly, I discovered your site a year ago when I started doing no-sews, and I love the braided version. I made my first no-sew blanket following your instructions and it turned out beautifully. I work at a fabric store and I recommend your site to all my customers. Thanks so much for posting easy to following instructions they are greatly appreciated. I just made this and it's beautiful! I messed up my first one (it's fixable though) with the "fitted sheet" look a couple other people mentioned. My second one, I cut the strips 2 inches long instead of 1.5 and went slowly, smoothing out the fabric and not pulling so tight when I reached the corners. It also helped to have the two layers pinned together. This resulted in a perfectly rectangular blanket. 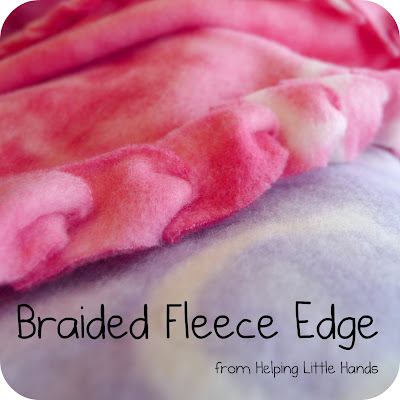 Ok with the double layer fleece blanket with braded edge. Do ALL the fringes get used when you alternate between top fringe and bottem or are there fringes left out? Hi Natasha, All the fringes will be used when you're done. I am making a new sew blanket for my boyfriend this year. 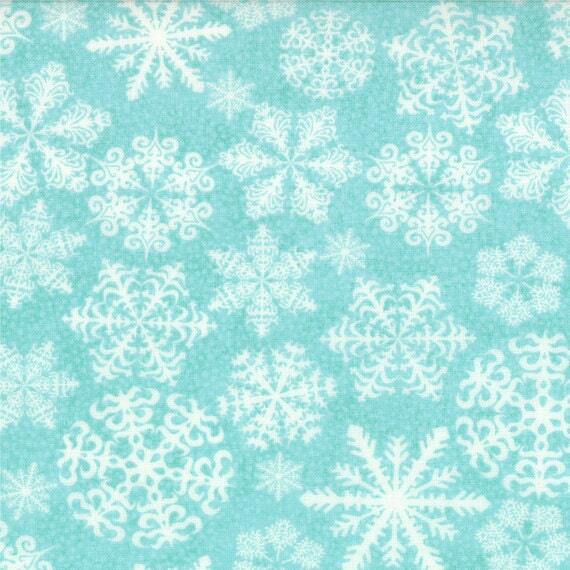 The pattern he wants only comes in cotton fabric. 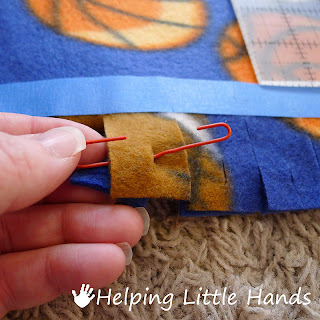 Could i still use this technique if I have a top cotton fabric and a bottom fleece fabric? Hi Kristen, I tried to email you, but your email didn't come through attached with your comment. Cotton WILL NOT work for this. Cotton fabric frays and has very little stretch to it. Fleece fabric doesn't fray and has some stretch which is what makes this method work. If you want to make a blanket with cotton, you'll need to use a sewing machine and sew around the edges to make a different kind of blanket. Hi my name is Denise from Ontario, CA. 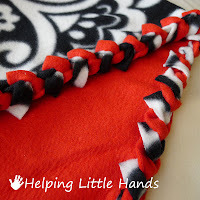 I wanted to ask you can i use 3 fringes to make blanket thicker. Also thank you for your new idea the braid people seem to get bored with the same look all the time.i love it. Hi Denise, I don't think that using 3 layers and 3 fringes would work. In my experience the double layer of fleece is already quite warm, and 3 layers would likely be too thick. I was so happy to discover this post! I recently made a blanket like this for a baby shower and the mommy-to-be loved it! Great tutorial, thank you! This is such a nice edge. 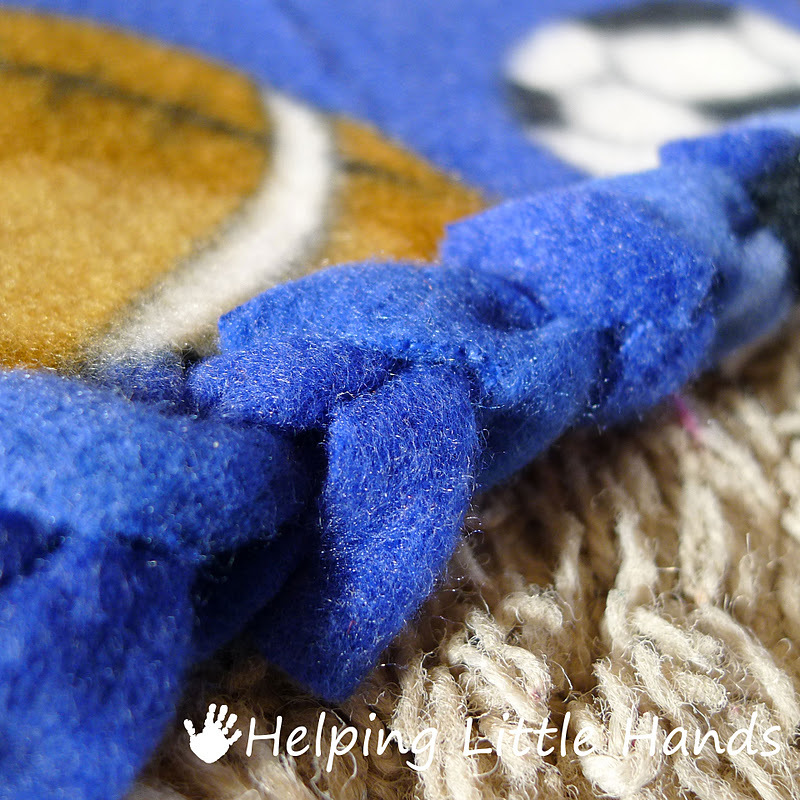 I have been making "knot" blankets for years & now I have a new way to finish them. Am doing a baby blanket now using this edge! Thanks for an easy tutorial!